When you have realized that your old windows need full replacement, which type of material will work for the best? Perhaps you are attracted to the traditional appeal of wood windows. Take note that wood window replacement in Detroit, Michigan comes with pros and cons. Wood windows, whether standard or clad, remain the premium choice for replacement. 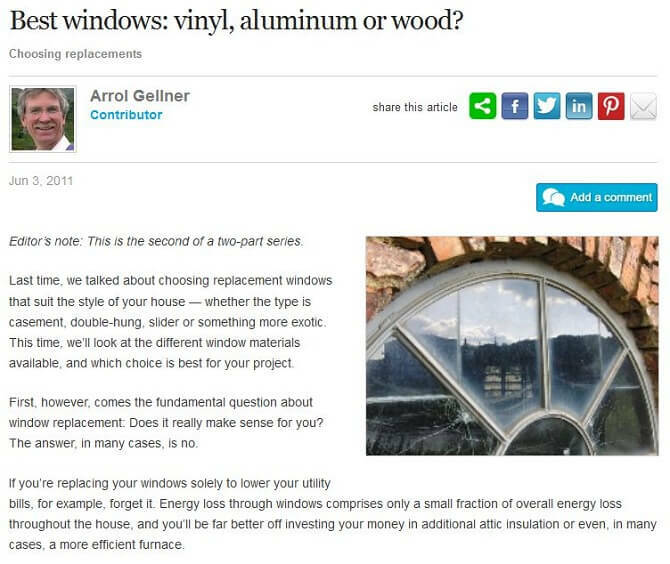 Clad windows, which variously have an external shell of aluminum or fiber glass to protect the wood elements from weathering, are represented as doing away with maintenance headaches. However, unlike plain wood windows, they can’t be easily repaired or refinished if they’re damaged. You’re also permanently stuck with the color of cladding you choose. Hence, you should weigh the premium you’ll pay for clad windows against the occasional headache of repainting the standard wood version. Be prepared for sticker shock with either product, however — these windows are truly a lifetime investment. There are different types of wood; you may opt for softwood, which you can go for when you’re on a tight budget, or hardwoods, which are durable yet typically expensive. Wood windows feature biodegradability and incomparable appeal. Moreover, window frames manufactured from wood, when maintained properly, can strongly endure wear and tear. While vinyl can be inexpensive, they are not eco-friendly compared to wood, which is a natural and reusable source. On the other hand, although wood windows have remarkable insulation value, they may require intensive and regular maintenance. Otherwise, they will be susceptible to elements causing structural damage such as moisture, mold, and insect infestation. So when you have old wooden windows in your home, it pays to have them checked by the experts to determine whether a repair, maintenance, or replacement is necessary. It’s imperative that you check out other types of window replacements including composites, particularly the modern types such as those made from vinyl or have been added with advanced glass and other energy-efficiency features. Contemporary wood window replacements now come with well-insulated frames, more durable finishes, and other features that can further enhance the efficiency and beauty of your home. These days, more and more contractors for wood window replacement in Detroit, MI offer remarkable services and solutions. Companies like Kroll Construction can provide you with free in-home consultation and estimates.